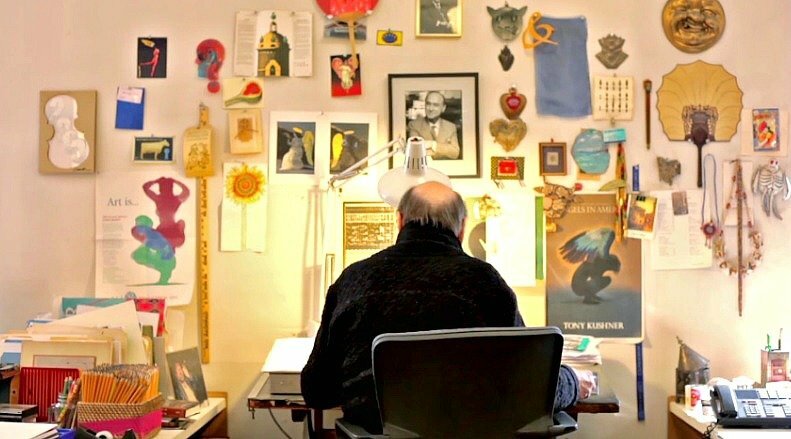 In the graphic design world, no one is more synonymous with New York than Milton Glaser. From creating the world-famous I ♥ NY logo and Bob Dylan poster to co-founding New York magazine, the 85-year-old legend embodies the creative force of the city. He’s now opened up his longtime Murray Hill studio to the New York Times in an insightful video that shows his warm, colorful, and cluttered yet organized home, as well as offers shots of Glaser discussing his inspirations, how he got his start, and the legacy he hopes to leave behind.